Feel crafty and want something fabulous and easy to do for your home decoration? Great, we have Butterfly Chandelier Mobile DIY; we also have No Sew Tulle Tutu Skirt for table decor. 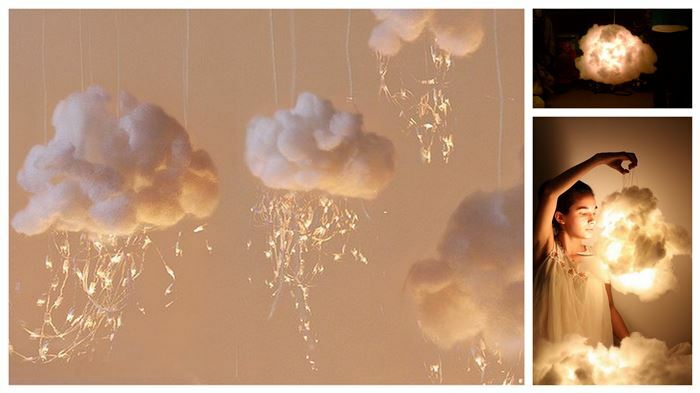 And today we are going to combine these 2 ideas and make this awesome galaxy chandelier. This galaxy chandelier is giving us all the outer space feels right now. This craft is fairly super easy to complete, hang it above your bed, or home office or even outdoors and create Milky Way full of constellations. 1. Spray paint hula hoop. 2. Attach icicle lights around hula hoop with electrical tape. 3. Cut strips of tulle from the tulle rolls approximately 4-6 feet in length. 4. Fold a tulle strip in half and loop it through itself to secure to the hula hoop. 5. Using wire, twist tie the star garland to the hula hoop. 6. 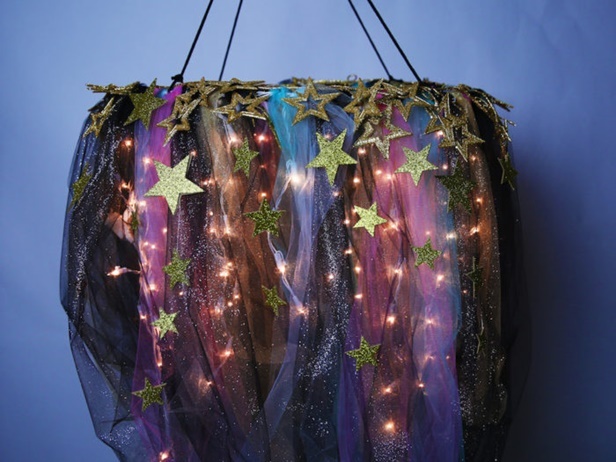 Make strings of stars by gluing glitter foam stars to fishing line, and tie to attach. 7. Tie 2 strings of paracord across the hula hoop to hang. Knot the the center of the two strings together. Adjust the string lengths to ensure it hangs evenly.